Forex4you has found reliable partners in different countries of the world and signed contracts with them. For instance, Forex4you LLC is representing our Dealing Center on territory in Russia. Esperanza Consulting does the same in India and so on. Furthermore each country representative may have partnership agreements with smaller companies and offices in different cities. 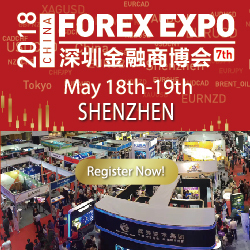 The heart of Forex4you Dealing Center is E-Global Trade & Finance Group Inc registered in British Virgin Islands - this is where all financial operations are carried out. However, all paper work is being done in the business heart of Europe - London. This is where clients send documents, enquiries, etc. Then, E-Global Management Group Inc of British Virgin Islands takes all the administrative functions. 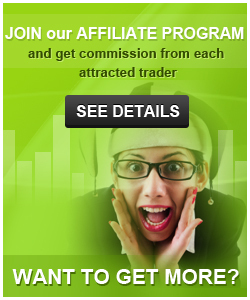 We reward our frequent foreign exchange traders by offering them bonuses. You can get back up to 17.5% of the spread* if you generate a required turnover on your account. It’s a great opportunity to earn even more! Please note that possible amount of bonus will vary from 5% to 25%. In the presence of credit bonus on account, sum equivalent to double amount of credit bonus is blocked for transfers, withdrawals and deposits to PAMM-service. Step 1. On funding your trading account in the Trader Room, you will be able to choose % the credit bonus. It is important to note that the larger percentage you choose, the higher trading turnover you must have on your account. The bonus is added to your account in the form of a credit. The credit will let you have a larger trade volume. Step 3. Thus, a part of the commission of each trade is summed up and once the sum of all transactions reaches the bonus amount (in our example, $250), a real bonus will be automatically credited to your account. If you have more than one active bonus, the bonus, which was submitted first, will be applied first. In order to set your account into right IB group - ForexRebate.me with those Referral code f9921bb, Client need to open a new account with new e-mail address. My positive earlier rating was premature. Trouble free deposit, but difficult to withdraw. Customer service is always the same person. How come? Is that a "One man show" and the others are just a fiction? Something smells here. They are trying to attract only newbies because they believe; they will soon or later lose everything. This is not the company, where I could deposit more money! As a confirmation email, they are sending a confirmation email with executive application, hoping you will open it. They said they did not send it but they never issued any public warning that something is wrong. Still trying to withdraw. No success. Good broker for martingale expert advisers .I didn`t have any problem with them till now. Server connection was poor when I first started dealing with them a few months back, but I noticed that they have upgraded to better servers so it's getting much better and less occurrence of re-quotes over the past 2 months. Customer service needs allot of work to do. Normal broker as 3years ago it launched its first trade, still occasionally been trading in 4yu, although I know that many brokers have now better conditions.